Reverend Alexander Silver was for about 40 years the spiritual leader of Dunnottar church near Stonehaven in Scotland. He was described as “many-sided and sterling in character”. He was a larger-than-life, quick-witted individual with a keen, hands-on interest in contributing to a community that highly valued Christian endeavour and dedication. In 1829 he succeeded his older brother John as schoolmaster at Fordoun about 10 miles (16 km) from Dunnottar where he would afterwards see out his days as a pastor. A copy of a portrait of Reverend Alexander Silver that hangs in Dunnottar Church. Image kindly provided by the church. He was thrust into the role of schoolmaster when his brother was killed in an unfortunate accident that also took the life of another man. Along with a third individual they were all thrown from a gig which hit a bridge near Glenbervie. As an aside, more than 30 years later Sandy Silver was also involved in a buggy accident. Sandy Silver was born in 1804 at Mill of Uras (south of Stonehaven) the youngest child of John Silver and Elizabeth Thomson. Research suggests he may have had four siblings: John (1793-1829), Jean (1795-unknown), Elizabeth (1798-1857) and James (1800-1865). Rev Silver attended Marischal College, Aberdeen, between 1818 and 1822, graduating from the arts faculty filius Joannis agricolae. The Silver surname has for hundreds of years been prominent throughout Aberdeenshire, particularly in Maryculter and Fetteresso parishes. It can be difficult to place people in the correct family line because earlier records contained less information. A certain amount of guesswork is needed and it becomes even more complicated by the type of family naming patterns that were practised. If Rev Silver’s family stuck to that protocol then his father John would have been named John after his father before him. It would have been the basis for Rev Silver’s eldest brother John having that Christian name. Confused? You should be because I can’t be certain to which family he belonged because the two likely candidates prove hard to track. However I have concluded that Rev Silver’s father was born in Fetteresso and was buried in Maryculter. See following footnote for my reasoning. Is his parentage that important? Perhaps not, but I’m interested because of my connection to the Silver family in the district given my great grandfather James Silver (1863-1949) grew up a few miles from where Rev Silver was pastoring. My best guess is that there would have been a family connection in a previous generation but it’s unlikely I’ll be able to prove it. Nevertheless, Rev Silver’s life is worth exploring and recording for posterity because of the impact he made in a life of public service which went beyond pastoral duties. On 30 October 1844, the then 40-year-old Rev Silver was introduced to Dunnottar parishoners as their new minister in a ceremony attended by a large number of people despite what was described as unfavourable weather. It seems likely that Alexander Silver answered a call to pastor at Dunnottar because of the split that occurred within the Church of Scotland. It became known as the Disruption of 1843. Rev Silver remained loyal to what was at the time known as the Established Church of Scotland, or what nowadays is broadly known as the Presbyterian denomination. He thereafter gave the rest of his life to serving others. He did not marry, which was a little unusual for the time. Several years later, Rev Silver is mentioned in connection with the Stonehaven National Security Savings Bank, an institution with which he was to be associated right up until his death. His commitment to the community he served was an extension of his pastoral duties but he always held close to his heart the proclamation of the Gospel of Jesus Christ. Headstone on Rev Silver’s grave at Dunnottar Church near Stonehaven, Scotland. Photo taken September 2004 by Warren Nunn. One of the measures of a man is any reflection on his life. When Rev John Watt spoke at Dunnottar church about Rev Silver’s passing, he painted a vivid picture of a faithful and true Christ-like servant whose life calling it was to serve others. Rev Watt’s address is worth reading and is below reproduced. The description of Rev Silver fits with and fleshes out what the bland public record tells us of his involvement in various organisations both commercial and public. The Aberdeen Weekly Journal published a tribute which reinforced the high esteem in which the pastor was held. Sandy Silver clearly understood his limitations and the march of time and the impact it was having on his duties as pastor. He first revealed in 1878 that he needed help and that the parish should look for a successor., He even offered to forgo his stipend to effect the appointment. This almost brutal self-assessment showed how realistic Rev Silver was about himself and his abilities. He knew his body was giving out on him and so gradually withdrew from the more taxing tasks; the main one being that of pastor. It showed how seriously he took his calling and his determination to put others first in all things and allow the Lord to look after the rest. Reverend Alexander Silver’s death certificate. Note that his nephew James Silver signed as informant on the certificate. As a young man in 1851, James stayed with his uncle at Dunnottar manse, perhaps as part of his schooling. 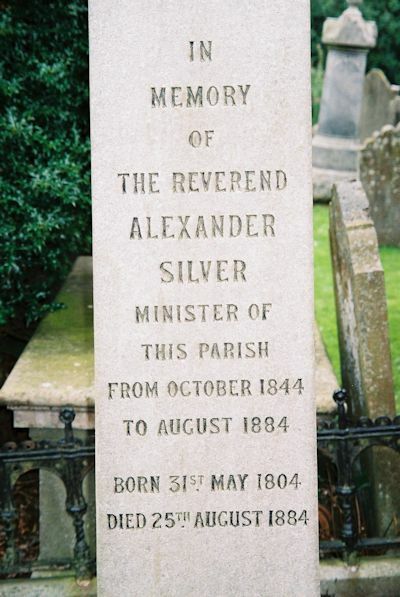 For Rev Alexander Silver, he knew the proof of that which he so faithfully preached; that to be “absent from the body was to be present with the Lord”. For him, 2 Corinthians 5:8 had become reality. One thing for certain about Rev Silver is that his love of others and his willingness to give of himself was everlovingly expressed in his will which lists a number of relatives and friends who benefitted from his estate. Again, it is a long and detailed document but worth reading through to gain a further insight to a man who lived out his life in line with his firm convictions that he was a sinner saved by grace. Various other references to Rev Silver can also be read here. More than 20 years after he passed away, Sandy Silver was remembered in an article that appeared in the Dundee Courier of 4 May 1908. The article “Men of the Mearns, Kincardineshire Wit and Humour” described an encounter at Stonehaven between Rev. Sandy Silver and an Aberdeen lawyer. The account is somewhat confusing and not really amusing and perhaps has much to do with the aforementioned divisions within the church. It describes a mild exchange between two people who were both about the Lord’s business, but it underscores that Sandy Silver didn’t take himself too seriously. Later in 1908 there was another reference to Sandy Silver because of a wooden microscope he once owned that was a point of curiosity at a meeting of scientifically-minded men in Aberdeen. Aberdeen Journal, Wednesday, 29 July 1829. Aberdeen Journal Wednesday 6 May 1863. SILVER, JOHN (Old Parish Registers Births 258/ 20 154 Fetteresso) Page 154 of 3079 May 1754, Silver, John Silver in Old Hilloch had John baptized witnesses James Duthie in Netherley and Alexander Milne in Mill of Monquich. Aberdeen Herald and General Advertiser 2 November 1844, p3. Stonehaven Journal 26 December 1848, p4. Montrose, Arbroath and Brechin Review; and Forfar and Kincardineshire Advertiser. 29 June 1849, p4. Aberdeen Press and Journal 29 May 1850 p6. Aberdeen Press and Journal 23 October 1850, p5. Stonehaven Journal 11 September 1884, p4. Stonehaven Journal 23 October 1884, p1. Aberdeen Press and Journal 3 December 1884, p1. Aberdeen Press and Journal 01 April 1878, p4. Aberdeen Press and Journal 04 September 1878, p4. Aberdeen Press and Journal 11 April 1878, p3. Dundee Advertiser 9 June 1884, p7. Signed AW Kinnear, John G. Thomson, Sheriff Clerk Depute. Schedule of debts due and owing from the deceased at the time of his death to persons resident in the United Kingdom and Funeral Expenses. Signed A. W. Kinnear, John C Thomson, Sheriff Clerk Depute. At Stone have the second day of December, one thousand and eight hundred and eighty four years. In presence of John Craig Thomas, Sheriff Clerk Depute of Kincardineshire. Appeared Arthur Wellesley Kinnear, Solicitor and Bank Agent Stonehaven executor of the deceased Reverend Alexander Silver Minister of the Parish of Dunnottar in the county of Kincardine who being solemnly sworn and examined depones, that the said Alexander Silver died at Dunnottar Manse in the county of Kincardine aforesaid, domiciled in Scotland, upon the twenty fifth day of August eighteen hundred and eighty four without ever having been married. That the deponent has entered upon the possession and management of the deceased’s estate as executor, nominated by him, along with the Reverend William Mearns, Doctor of Divinity, Minister of the Parish of Kinneff and Robert Tindal, Sheriff Clerk of Kincardineshire in a General Deed of Settlement executed by him upon the twenty eighth day of December eighteen hundred and eighty four, and along with a relative codicil thereto dated the eighth day of October eighteen hundred and eighty three registered in the Sheriff Court Books of the County of Kincardine the second day of September eighteen hundred and eighty four and extract of which Deed of Settlement and codicil is now established and signed by the deponent and the said Sheriff Clerk Depute of this date as relative hereto: That the deponent does not know of any testamentary settlement or writing relative to the dispersal of the deceased’s personal estate or effects or any part thereof other than the said general deed of settlement and relative codicil. That the foregoing inventory signed by the deponent and the said Sheriff Clerk Depute as relative hereto is a full and complete inventory of the personal estate and effects of the said deceased Alexander Silver wheresoever situated and belonging or due to him beneficially at the time of the his death in as far as the same has come to the deponent’s knowledge; that the deponent does not know of any money or property belonging to the deceased secured by Scottish Bonds or other instruments excluding executor; that the said deceased had no heritable estate in this country in as far as known to the deponent; that the said deceased Alexander Silver was due and owing at the time of his death to persons resident in the United Kingdom the debts enumerated in the foregoing schedule. That these debts are payable by law out of the estate and effect comprised in the foregoing inventory are not any of these voluntary debts made payable under some instrument delivered to the do?? Thereof within three months before the death of the deceased or debts in respect whereof a reimbursement is capable of being reclaimed from any real estate of the deceased or from any other estate or person whatever. That these debts with the funeral expenses or the said deceased as also shown in the said schedule amount to one hundred and seventy four pounds 1/11. That the nett valued of this date of the said personal estate and effects situated in the United Kingdom including the proceeds accrued thereon down to his death and after deducting the amount of the said debts and funeral expenses is seven thousand five hundred pounds sterling and does not exceed seven thousand six hundred pounds sterling; That confirmation of the said personal estate is required in favour of the deponed and the said William Mearns and Robert Tindal. All which is truth as the deponent shall answer to God. (Signed) Ar W Kinnear, John C Thomson, Sheriff Clerk Depute, Written by John McDonald. Collated by Robt Tindal. Aberdeen Press and Journal 25 December 1850, p5. STONEHAVEN NATIONAL SECURITY SAVINGS BANK.-The annual general meeting of the trustees and managers of this institution was held in the Bank Office on Tuesday last – the Rev. Mr Silver, minister of Dunnottar, in the chair…..
Aberdeen Press and Journal 03 September 1851, p6. SCHOOL EXAMINATIONS.-The annual examination of the Fetteresso and Dunnottar parish schools took place on Wednesday, in presence of the ministers of the respective parishes, the Rev. Messrs. Thomson and Silver, and a number of the parents and guardians of the pupils. Aberdeen Press and Journal 15 October 1862, p6. COMBINATION OF POOR-HOUSE FOR KINCARDINESHIREOn Saturday a meeting was held in the Anchor Hall, Stonehaven, of delegates from various Parochial Boards in Kincardineshire on the subject of a Combination Poor-House for the County. A.W.Kinnear, Esq., Chairman of the Parochial Board of Fetteresso, presided. The delegates present from 14 parishes were-Sir John S.Forbes, Bart. ; Sir Thomas Gladstone, Bart., Mr Scott of Brotherton; Mr Carnegie of Redhall; Mr Badenach Nicolson of Glenbervie; Mr Taylor of Kirktonhill; Mr C.Tindal; Mr Dickson, Laurencekirk, factor for Ury; Rev. A.Silver, Dunnottar; Mr Glenny, Fernieflatt; Mr Hunter, St Cyrus; Dr Keith of Easter Muchalls; Baillie Thomson, Treasurer Wood, Mr Forsyth, Mr Henderson, and Mr Weir, Stonehaven. Aberdeen Press and Journal 19 July 1865, p5. Kincardineshire Farmers’ Club. Report of annual competition and show mentions Rev A.Silver, Dunnottar. Aberdeen Press and Journal 08 May 1867, p3. STONEHAVEN-FACULTY OF SOLICITORS.-In order to inaugurate the formation of a Society or Faculty of Solicitors for Kincardineshire, a dinner was given to the members and a few other friends by Mr A.B.Shand, Sheriff of the county, last week in Lynch’s Station Hotel. Covers were laid for about twenty guests. The chair was occupied by the Sheriff, who was supported on the right by Sir James Horn Burnett, Bart. of Leys, Lord-Lieutenant of the county; Mr James Tindal, Stonehaven; Mr Patrick Dickson, Laurencekirk, &c.; and on the left by the Rev. A.Silver, of Dunnottar, &c.
Aberdeen Press and Journal 08 January 1868, p5. Aberdeen Press and Journal 25 May 1870, p4. INSPECTOR OF POOR WANTED. Applications are requested for the office of inspector of poor and collector of poor’s rates, for the parish of Dunnottar. The salary is 40 pounds per annum, and the party appointed must find security to the extent of 200 pounds to the satisfaction of the Parochial Board. Applications, in candidates’ own handwriting, accompanied by certificates of character and qualifications, must be lodges with the Rev. Alexander Silver, Dunnottar, Stonehaven, Chairman of the board, on or before 11th June. Aberdeen Press and Journal 05 June 1872, p7. KINCARDINESHIRE COMBINATION. The annual meeting of the representatives of the various parishes embraced in the Kincardineshire Combination, was held at Stonehaven on Saturday. Mr Nicolson of Glenbervie was re-elected chairman, and Rev. A.Silver, Dunnottar, vice-chairman for the year. Aberdeen Press and Journal 12 March 1873, p3. PARISH OF DUNNOTTAR.-On Wednesday the last day for nominating candidates for the School Board of this parish, resulted in the following parties being proposed and seconded; viz:-Rev. Alex. Silver; Wm. Ritchie, Esq., Dunnottar House; Messrs James Jack, fish curer; John Thom, farmer, Uras; Robert Mitchell, farmer, Gallowton; James Carnegie, farmer, Toucks; Jas. Brown, farmer, Upper Criggie; and David Hutcheon, retired teacher, Stonehaven. Aberdeen Press and Journal 19 March 1873, p6. As above, this article records that Rev. Silver was elected to the Dunnottar Parish School Board.Aberdeen Press and Journal 09 July 1873, p5. DUNNOTTAR.-The School Board met on Thursday in the Parochial Board office, Stonehaven-the Chairman (Rev. Alex. Silver) presiding. A letter was read relating to the conveyance of the Brackmuirhill School to the Board. It was agreed to take over the school subject to the approval of the Board of Education, but at the same time it was resolved to call the attention of Donaldson’s Trustees to the fact that religious instruction was to be given “according to use and wont,” the Board being of opinion that future Boards should note be fettered in that matter. From a census of children, it appears that there are between five and thirteen years, 390 children, of whom 77 have never been at school. Aberdeen Press and Journal 08 October 1873, p7. DUNNOTTAR SCHOOL BOARD.-This Board met on Thursday in the Board Room, Stonehaven-Rev. A. Silver presiding. It was agreed that religious teaching be conducted within the schools according to use and wont. A letter from Mr Cook, Edinburgh, was read as to the leasing Brackmuirhill School, and the Clerk reported that 49 applications had been lodged in reply to his advertisement for a teacher to this school. A committee was appointed to prepare a leet (A leet is a list of candidates for a job, award, contract, etc.). The time table, as prepared by Mr Bain, teacher, was agreed to, subject to any alteration that may be made upon it by the Inspector. A report of a joint committee of Fetteresso and Dunnottar, with reference to a proposed new school at Dykenook, was tabled and agreed to. It was recommended that expenses be equally divided between the parishes, and that the teacher should be paid yearly by the parishes, according to the number of children from each parish. Aberdeen Press and Journal 05 November 1873, p3. DUNNOTTAR SCHOOL BOARD.-This Board held a special meeting on Thursday-Rev. Alex. Silver presiding. Out of a leet of 49 candidates Mr Wm. Martin, Free Church teacher, Durris, was appointed teacher of Blackmuirhill Public School, at a salary of 50 pounds per annum, with fees, Government grants, and free house and garden. It is understood that his wife will assist Mr Martin in teaching; but as there are only two rooms and a closet in the house there is a probability that a new building will have to be erected. Aberdeen Press and Journal 22 March 1876, p8. Report of his Rev. Alex. Silver’s re-election to the Dunnottar School Board. Aberdeen Press and Journal 06 June 1877, p7. Report about Kincardineshire Combination Poorhouse. Rev. Silver still vice-chairman. Aberdeen Press and Journal 13 September 1877, p4. Lengthy report about a large dinner gathering hosted by Rev. Dr Mearns, Kinneff, proprietor of the estate of Disblair and Kinmundy, lists Rev. A. Silver as a guest. Aberdeen Press and Journal 14 June 1879, p3. Reference to Rev. Silver being re-elected vice-chairman of the Kincardineshire Combination Board. Aberdeen Press and Journal 02 October 1878, p4. Report of Rev. Silver’s successor, Rev. Robert Davidson, being welcomed to Dunnottar. Aberdeen Press and Journal 11 January 1879, p2. Report on National Security Savings Bank shows Rev. Mr Silver still had role of actuary. Dundee Courier 28 February 1879, p8. Rev. Silver re-appointed to represent the board on the Committee of Management of Combination Poorhouse. Dundee Courier 11 November 1881, p5. Aberdeen Press and Journal 25 September 1908, p7. Census records are a treasure trove of information for genealogists and can produce a number of ‘yes!’ moments of discovery. As census-taking improved and more information became available, the task of tracking a person or a family was also made much easier. Back in 1841 only basic details were provided such as place of residence and for those aged 20 or older, their age was rounded up or down five years. So while you could be somewhat sure you had the right family in 1841 you had to compare it with the 1851 census to have it confirmed. Mostly that works out. As way of illustration, the follow is a transcript from the 1841 census for a farm named Crossley about 12 miles from Aberdeen in Scotland. The John Silver aged 60 is one of my great-great-great grandfathers. If interested you can click on the image at right for larger view. So what we have could be seen as just a list of names with ages and occupations. The next person to focus on is Alexander Silver, aged 30, who is my great-great grandfather in this line. Because the 1841 census does not state whether a person is married or single, we have to refer to the 1851 census record or investigate marriage records to discover that. Other people on the record to look at are Isobel Falconer, aged 13, a servant on the farm along with Robert Thow, aged 12, and Elizabeth Taylor, aged 11. On the same page of this census entry the Silver family have as neighbours the Thow family and the Taylor family, also part of Crossley farm. Other information I have tells me that the Silver family leased Crossley, so the two other families could be joint tenants. My guess is that Robert Thow and Elizabeth Taylor were children from the neighbouring families. But what about Isobel Falconer, aged 13? Where was she from? On the 1851 census, we find Isobel Falconer, aged 23, single, at Stripeside of Crossley with her family. Given Crossley and Stripeside of Crossley are in the same parish, we can assume they may have been neighbouring properties although that is not yet confirmed. So the Silver family and the Falconer family most certainly were known to one another. Maryculter marriages 1851: Silver and Falconer. Alexander Silver in this parish and Isobel Falconer in the parish of Feterresso were matrimonially contracted on the 28th November 1851 and after proclamation of banns were married on the 11th December 1851 by the Rev John Bowen, in presence of witnesses. So now I discover that the Alexander Silver and Isobel Falconer who married in 1851 were in the same household in 1841, he as the farmer’s son and she as a farm servant. This is further confirmed by the 1861 census where we find Alex and Isobel and children at Burnside, most likely a neighbouring farm to Crossley. There are several farms named Burnside in Aberdeenshire but Burnside Farm, Maryculter, which is closer to the River Dee than other Burnsides is the likely place. And given that many of this Silver family were buried in Maryculter on the River Dee, it’s reasonable to assume that they lived close by. Then, 10 years later, the family is back at Crossley. So the 1871 reveals their youngest child is James Silver, who is my great-grandfather. We then go on to the 1881 census (above) where we find most of the family still together but my great-grandfather is missing. However, he is not far away on Cockley farm where he is apprenticed as a carpenter. As the youngest James proved to be the ‘boldest’ in that he left for Australia sometime about 1890 and married in Brisbane in 1892 to Janet Todd who hails from Kirkbrightshire, more than 200 miles by road from Aberdeen. So, how did they meet? There is confusion over exactly where but Janet was in service somewhere in Scotland because she spoke about it to her grandchildren. We can only assume that James Silver moved away from Aberdeenshire to find work as a carpenter and met Janet at some point because it is clear they both arranged to travel separately to Australia where they eventually married and had six children, five of whom survived to adulthood. Their eldest, Margaret Isabella, was my mum’s mum. So about 11 decades after a teenager named Isobel Falconer met and later married Alexander Silver, I came into the world and a series of circumstances led to my existence. In other reminder of the closeness of the family connections in that area, Isobel Falconer's sister, Mary Ann married Alexander Silver's first cousin James Silver, who also happened to be his second cousin. This is where things getting really complicated but, of course, we genealogists love such discoveries. The Silver boys were maternal first cousins as their mothers were sisters and they were second cousins because their paternal grandfathers were brothers. Whew! So, a few names and ages on a page soon becomes a family story. It’s a story that’s been repeated millions of times and underscores just how fortunate we all are to have a life. Live it well … and do some genealogy to … there are rewards to be had. 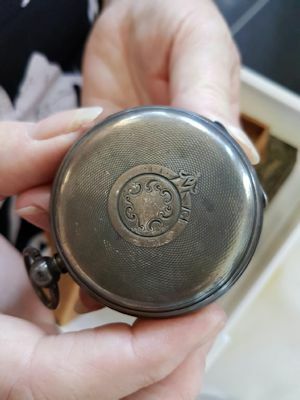 This picture is of a pocket watch (or fob watch) manufactured sometime in the 1800s in Scotland with the name "Geo. Donald" inscribed on it. It is in the possession of descendants of James Silver who grew up in Scotland and moved to Australia in 1890 when aged 27. On the assumption that James Silver brought the watch with him from his home country; how then did it come into his possession? When discussing this in 2017, James Silver's granddaughter June Nunn (nee Dobbs) suggested it may have been given in payment for work done. James Silver was a carpenter who did his apprenticeship with a fellow named James Troup who lived at Cockley, Maryculter in the Aberdeenshire district. James Silver grew up not far away both at Burnside farm and Crossley farm, both farms being within walking distance of each other and also a similar distance from Cockley farm. According to the 1881 census, there was a George Donald who farmed at Drumoak about 3km away and just across the River Dee from where young James Silver was learning his trade. So it is no stretch of credibility that James Silver at some point between 1881 and 1890 did some work for George Donald. And it is also a possibility that George gave James this watch in payment. It would not have been an unusual thing at the time and still happens today where people trade their time for goods. None of this can be proved, of course, and who's to say that the watch belonged to the same George Donald? However, the circumstantial evidence is compelling. And there is a little twist to the scenario in that George Donald's daughter, Christina, married one of James Silver's distant cousins, Andrew Silver. James Silver (born April 1863) and Andrew Silver (born December 1862) grew up about a kilometre apart and they would have known one another. What follows is drawn from Aberdeenshire newspapers and relates to the Silver surname. SILVER.-At Woodend Hospital, on September 24, 1960, Mary S.M.Silver, S.R.N., daughter of the late Mr and Mrs James Silver, 36 Summerfield Terrace, Aberdeen. SILVER.-Suddenly, on Sunday, February 28, 1960, Barbara (Minnie), of 37 Union Grove, Aberdeen, daughter of the late Mr and Mrs John Silver, Woodbank, Pitfodels. Funeral from 37 Union Grove, on Wednesday, March 2, at 3pm (service 2.45), at Springbank Cemetery. SILVER.-At Woodend Hospital, Aberdeen, on January 7, 1960, Jane Webster, dearly beloved wife of the late Francis Silver of 9a Millburn Street. Funeral from house, on Saturday, January 9, at 2pm (service 1.45), to Allenvale Cemetery, to which all friends are respectfully invited. Aberdeen Evening Express 10 August 1959, p7. PIRIE-SILVER.-At Rutherford Church, Aberdeen, on August 8, 1959, Alexander James, M.A., elder son of the late Mr Alexander I. Pirie and of Mrs Margaret Pirie, West Clashfarquhar, Porthelen, Kincardineshire, to Alexina McLeod, only daughter of Mr and Mrs John A.Silver, 101 Willowbank Road, Aberdeen. Aberdeen Evening Express 08 August 1959, p5. A Blairgowrie High School teacher, Mr Alexander Pirie, Portlethen, came to Aberdeen to-day to wed Miss Alexina Silver, a shorthand typist, 101 Willowbank Road, Aberdeen, in Rutherford Church, Aberdeen. Miss Frances and Miss Mary Walker, 234 Holburn Street, Aberdeen, were the bridesmaids, and Mr Keith Pirie, the bridegroom's brother, the best man. SILVER.-Suddenly, on September 7, 1955, William Silver, aged 60 years, beloved husband of the late Bella C.Warrender. Funeral from Belle Villa, Main Street, Cruden Bay, on Saturday, September 10, at 1.45 pm, to Cruden Churchyard. All friends respectfully invited. SILVER.-Suddenly, at the Royal Infirmary, Foresterhill, on June 7, 1955, Herbert Silver, stage manager, H.M.Theatre, aged 59 years, dearly beloved husband of Margaret Low, 110 Hutcheon Street, Funeral service at Aberdeen Crematorium on Thursday, June 9, at 2.30 p.m, to which all friends are respectfully invited. SILVER.-At 307 Springhall Road, Northfield, Aberdeen (the residence of his son, Ronald, on March 1, 1955, Robert Austin Silver, aged 65 years, beloved husband of Isabella Forbes, and late of 91 King Street. Funeral on Friday, March 4, at 2pm. (service 1.45), to Trinity Cemetery. All friends respectfully invited. SILVER.-At Foresterhill Maternity Hospital, on November 16, to Mr and Mrs Herbert Silver (nee Jessie Stuart), 82 Cornhill Drive, a son. Both well. SILVER.- At Foresterhill, on October 17, 1954, to Mr and Mrs D.J.Silver, 22 Rowan Road, a brother for Eleanor. Both well. SILVER.-At Foresterhill, on April 23, to Mr and Mrs Alfred Silver, 38 St Clair Street, a son (baby died later). SILVER.-At 57 Richmond Street, on Tuesday, March 17, 1953, Barbara Buchan, beloved wife of George Silver. Deeply mourned. Funeral private. No flowers. SILVER.- At a Nursing Home, Aberdeen, on January 7, 1953, Catherine Mitchell, eldest surviving daughter of the late Mr and Mrs David Silver, Elmbank, Hillside, Montrose. Funeral Private. HAY.-At 51 Canal Road, Aberdeen, on November 23, 1952, Robert Hay, aged 78 years (tailor) beloved husband of the late Helen Silver. Funeral private. No flowers please. SILVER.-At 49 View Terrace, Aberdeen on Feb. 12, 1952, Elizabeth Hutcheon, aged 72 years, wife of the late George Silver, piano tuner. Funeral on Friday, Feb. 15, at 3 p.m. (service 2.45), to Old Machar Churchyard. All friends respectfully invited. SILVER.-At Woodend Home, Aberdeen, on June 10, 1951, Caroline Austin, aged 81 years, widow of George Silver, Baker. Funeral on Thurs., June 14, at 3 p.m. (service 2.45), from the residence of her daughter, Mrs Pirie, 20 Willowbank Road, to Allenvale Cemetery. All friends respectfully invited. MUTCH.-At Pendlecrag, 41 Morningfield Road, Aberdeen, on April 2, 1949, Rebecca Silver, widow of James Gibson Mutch, grain merchant. Funeral on Tues., April 5, at 2.45pm (service 2.30), to Allenvale Cemetery. All friends respectfully invited. No flowers. SILVER.- At 49 View Terrace, Aberdeen, on Tues., Oct. 21, 1947, George, aged 72 years, piano tuner (retired), beloved husband of Elizabeth Hutcheon Williamson. Funeral on Friday, Oct. 24, at 2.pm. (service 1.45), to Old Machar Churchyard. All friends respectfully invited. SILVER.-At Elm Bank, Hillside, Montrose, on Sept. 28, Mary Ann Low, aged 93, widow of David Silver, Home Farm, Craigo, Montrose. SILVER.-Killed in action in October, 1943, W.O./A.G. Sergeant John Laverton Silver, beloved elder son of Mr and Mrs Silver, 1 Bellwade Terrace, Aboyne, aged 22 years. Funeral on Wednesday, 13th inst., at 2 p.m., to Aboyne Churchyard. All friends respectfully invited. SILVER.-At the Stableyard, Glen Tanar, on the 24th May, 1943, William Silver (retired blacksmith), beloved husband of Margaret Dunn. Masonic Honours. A large company attended the funeral from his residence, Stableyard, Glen Tanar, to St Machar Churchyard, Aboyne, of Mr W.Silver. He was born 75 years ago at Mill of Moutie, Fetteresso; served his apprenticeship as a blacksmith at Braemar, and later work for over 30 years at the smithy of Messrs Fletcher, Aboyne. Later he entered the employment of Lord Glentanar as caretaker of the Estate Recreation Hall. He was a prominent Freemason - the oldest in Aboyne - a keen bowler and highly esteemed in the community. He is survived by Mrs Silver and three sons, one of whom, James is in the Forces overseas. The Rev. D.Hamilton, Aboyne, conducted the service at the house, and the Masonic service at the grave was taken by the Rev. G.Martineau, Aboyne. SILVER.- At Dumfries, on 6th April 1942, to Helen, wife of Douglas Silver, B.Q.M.S., R.A., a son (Both well.). SILVER.-Suddenly, at 270 Victoria Road, on 10th January, 1942, William Silver (of Messrs Lewis Smith and Son), beloved husband of Jane Fraser. Funeral (private) to Springbank Cemetery. No flowers. MR WILLIAM SILVER. - Mr William Silver, who has died at his residence, 270 Victoria Road, Aberdeen, was one of the best known commercial travellers in the North of Scotland. He was sixty-one years of age and spent the whole of his business life with Messrs. Lewis Smith and Son. Ltd., for whom he was representative for fully forty years. He was particularly well known in Aberdeen and in Orkney and Shetland. He was a man of many interests. He was a past president of the Aberdeen branch of the United Commercial Travellers' Association, he was a member of the St Machar Lodge of Freemasons, and was an elder of the East Church of St Nicholas. He was keenly interested in golf, football and cricket, and was a member of the Balnagask Golf Club. Mr Silver is survived by Mrs Silver and by a son, who is serving with the Forces in Africa, and two daughters. SILVER. At Mains of Monduff, Muchalls, on the 28th January, to Mrs and Mrs. A.Silver, jun, a daughter. SILVER.- At 92 Gray Street, Aberdeen, on 16th June, 1940, Alexander Silver, aged 64 years, beloved husband of Margaret Donald. Deeply regretted. DEATH OF MR A.SILVER, ABERDEEN Mr Alexander Silver, fishmonger, 92 Gray Street, Aberdeen, who died yesterday was well-known in the public life of the city. A native of Aberdeen, Mr Silver was for twenty years manager of the Fish Supply Stores, and was a prominent figure at the harbour. On the firm changing hands, Mr Silver, along with his son, Mr Alex. Silver, jun. commenced business at the corner of Gray Street and Bromhill Road as a fishmonger. For over six years Mr Silver represented St Nicholas Ward on the Parish Council. For many years he was connected with the Hospitals' Fund Association, acting as convener of some of its more important committees. Mr Silver was a life member of the Aberdeen Royal Infirmary Council, the Royal Hospital for Sick Children, the Nursing Association and the Aberdeen Asylum for the Blind. In 1928 he was chairman of the General Council of the Scottish Clerks' Association. The old Lifeboat Saturday Fund also found in him a useful member. Mr Silver was keenly interested in sport and was one of the oldest official judges of the Scottish Amateur Athletic Association. He was a member of the Great Western Bowling Club. Practically all his life he was a member of Gilcomston (St Colm's) Parish Church, and for many years was a trustee and elder. Mr Silver is survived by Mrs Silver and a family of two sons and two daughters. SUTHERLAND-SILVER. - At Aberdeen, on 12th April, 1940, Charles, youngest son of Mr and Mrs Sutherland, Brace of Scurdargue, Rhynie, to Margaret Isabella, daughter of the later Walter R.Silver and daughter of Mrs Wilson, and stepdaughter of Lieutenant J.Wilson, R.N.R., Bogie Road, Rhyne, Aberdeenshire. SILVER.-At 36 Summerfield Terrace, on 18th March, 1940, James Silver(baker), aged 72 years. Funeral on Thursday, 21st March, at 2 p.m (service 1.45 pm. ), to Allenvale Cemetery. This is the only intimation and invitation. WOOD-SILVER. - At Mariners' Chapel, Aberdeen, on the 14th December, 1939, Adam, fourth son of John Wood, Cove Bay, to Helen Thomson, youngest daughter of Mr and Mrs John Silver, Whitehills, Cove Bay. SILVER. - Suddenly, at Marchbank, Bieldside, Agnes Murray Silver. Funeral private. No flowers. ROBB.-On 1st August, 1939, at 33 Mugiemoss Road, Bucksburn, Aberdeen (the residence of her son), Margaret Silver, widow of William R.Robb, settmaker, Bayview, 23 St. John's Road, Bucksburn, in her 81st year. Funeral to-morrow (Friday) at 2pm. from 33 Mugiemoss Road to Newhills Churchyard. Friends please accept this (the only) intimation and invitation. SILVER. - At 33 Lilybank Place, Aberdeen, on 30th May, 1939, James Silver (late of J.McAdam & Son), husband of the late Isabella Ingram. Deeply mourned. Funeral on Friday, 2nd June, at 2pm., to Grove Cemetery. All friends respectfully invited. SILVER. - At 1 Ardley Terrace, Stonehaven, on 25th May, 1939, Ann Brown, widow of James Silver in her 88th year. SILVER-HENDERSON.-At the Ramsay Arms Hotel, Fettercairn, on 29th April, 1939, by the Rev. 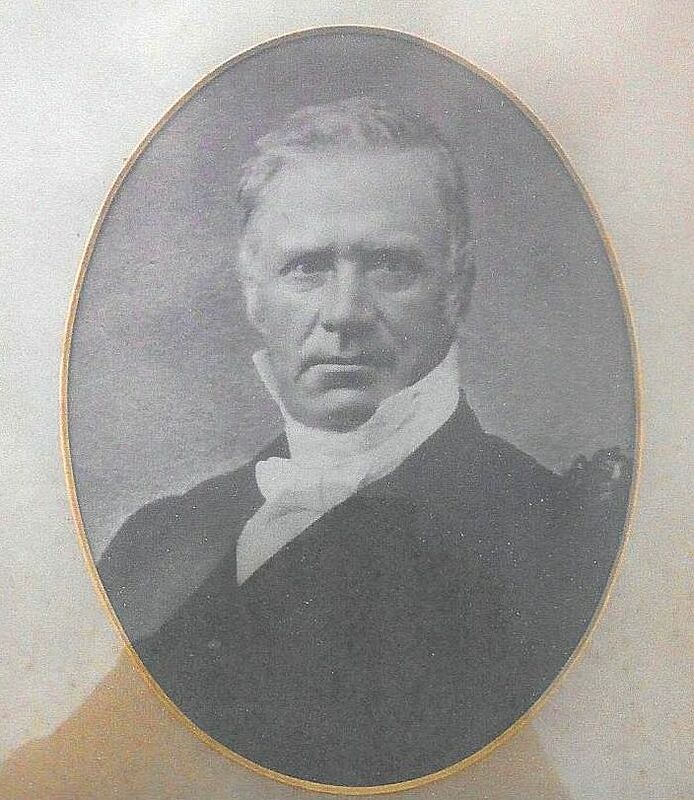 C.L.Hunter, George Christie Miller, eldest son of Mr and Mrs Silver, Burnside of Thornton, Laurencekirk, to Christina Muir Summers, daughter of Mr and Mrs. Henderson, Chapelhaugh, Methlick. SILVER-DAVIDSON.-At North Church, Queen Street, Aberdeen on 2nd March, 1939, by the Rev. William Hamilton, Robert Silver, Broomhill, Kinellar, to Sarah A.C.Davidson, youngest daughter of the late Mr and Mrs Davidson, Mill of Cowie, Stonehaven. SILVER. At Mains of Monduff, on 6th March, 1938, to Mr and Mrs Silver, jun., a son (stillborn). Death on island of Hawaii. A message has been received in Laurencekirk from Hawaii reporting the death in Papaikau of Mr William Silver, a native of the town, at the age of sixty-seven. Mr Silver went to Hawaii forty years ago and was manager of the Onomea Sugar Company, one of the most flourishing concerns in the island. The death of Mr Silver breaks a link in a chain of splendidly successful Scottish farmers, who, by their energy, ability, and skill, had created in Hawaii a colony of plantations which show, by their great returns, the constant care and knowledge of those men who had them in their care. Not the least of these fine agricultural workmen was Mr William Silver. Pedro Elazer Racelis, pastor-missionary of the Filipino Congregational Church of Papaikau, said the death of Mr Silver was a shock to the membership of the church and to the entire Filipino community of Onomea Sugar Co. It was through his magnanimous nature that the Filipinos of Papaikau were able to worship in such a dignified church. Mr Silver was a brother of Mr George Silver, 60 High Street, Laurencekirk, and Mr James Silver, Johnston Street, Laurencekirk. SILVER.-At Wardhead, Lumphanan, on the 26th July, 1936, Annie B.M.Campbell, dearly beloved wife of Robert Silver. Sadly missed and deeply mourned. Funeral on Tuesday, at one o'clock, arriving at Durris about 2 p.m. Friends please accept this (the only) intimation and invitation. SILVER.- at Middleton Cottage, Pitfodels, Aberdeen, on the 16th June, 1934, Jean Smith, widow of George Silver, Belhelvie Lodge. Funeral on Tuesday, the 19th inst., at 1.30 pm (service 1.15pm. ), to Trinity Cemetery. All friends please accept this (the only) intimation and invitation. No flowers, by request. SILVER.-At Morningfield Hospital, on 12th February, 1934, Mary Roy Mackie Silver, retired teacher, aged 70 years, eldest daughter of the late Mr Francis Silver, shipmaster, and Mrs Margaret Silver, afterwards Mrs Caufield. Funeral from the hospital on Thursday, 15th, at 2.15 o'clock, to Nellfield Cemetery. All friends please accept this (the only) intimation and invitation. No flowers, by request. SILVER.-At Otago Cottage, Cults, on 23rd July, 1933, David Alexander Silver, retired bank agent, aged 75 years. Funeral on Wednesday, 26th inst., at 2pm. to Allenvale Cemetery, Aberdeen, arrived about 2.30 pm. SILVER-LAMB.-At the Northern Hotel, Kittybrewster, on the 17th June, 1933, by the Rev. J.A.Crawford, Fintray, Andrew, second son of Mr and Mrs Silver, Mains of Monduff, Muchalls, to Ethel, granddaughter of Mrs Lamb, Bog of Fintray, Kinaldie. SILVER.-At 18 Northfield Place, Aberdeen (the residence of her son-in-law, John Muirden), on 7th January, 1929, Ann Grubb, aged 85 years, widow of James Silver. Funeral on Thursday, 10th inst., at 1.30 pm. from Cairnton to Newmachar Cemetery. Friends please accept this (the only) intimation and invitation. SILVER.-At Woodbank Cottage, Pitfodels, Cults, on the 28th June, John Silver, gardener. Funeral on Saturday, 1st July, at 2 o'clock pm. To Springbank Cemetery. Friends please accept this (the only) intimation and invitation. SILVER-LOW.-At Gondolier Rooms, Aberdeen, on the 16th, by the Rev.R.S.Sleigh, M.A., Herbert, youngest son of the late W.Silver, baker, and Mrs Silver, to Maggie Dingwall, eldest daughter of Mr and Mrs Low, 72 Summer Street, Aberdeen. SILVER.-At 96 Auchmill Road, Bucksburn, on the 7th inst., Jane McDonald, widow of Robert Silver, settmaker, aged 81 years. SILVER.-At 96 Auchmill Road, Bucksburn, on the 7th inst., Jane McDonald, widow of Robert Silver, settmaker, aged 81 years. Funeral on Wednesday, the 10th inst., at 2.30 p.m., to Grove Cemetery. Friends please accept this (the only) intimation and invitation. also at the same time and place, John Silver, tailor, Aberdeen, to Williamina, second daughter of William Farquhar. Present addresses- 357 Hardgate and 43 Watson Street. SILVER-BLACKMORE.-At Dunedin, New Zealand, on the 5th April, 1911, by the Rev. R.R.M.Sutherland, William McDonald Silver, late of Aberdeen, to Alice, daughter of Maunsel Blackmore. SILVER - At 6 Whitehall Place, Aberdeen, on the 2nd inst., Alexander Silver, late Morrison's Economic Stores. Funeral on Saturday, 5th inst., at 2pm., to Allenvale Cemetery. Friends please accept this (the only) intimation and invitation. SILVER.-Suddenly, at Aberdeen, on the 15th February, Agnes C.Silver, eldest daughter of John Silver, gardener, Woodbank, Cults, aged 33 years. Funeral on Monday, 19th inst., at 2 o'clock to Springbank Cemetery. This the only intimation and invitation. SILVER-BROWN.-At 9 Marine Terrace, Aberdeen, on the 6th inst., by the Rev. John Gordon, St Fittick's Parish Church, Torry, William Silver, G.N., of S.Railway, Aberdeen, to Jessie Brown, eldest daughter of George Brown, 6 Green Street, Rothes. SILVER.-At 33 Lilybank Place, Aberdeen (the residence of her son), Elizabeth Laverton, widow of John Silver, miller, aged 68 years. Funeral on Saturday, 29th Inst., at 12.30 pm., to Maryculter Churchyard. Friends please accept this (the only) intimation and invitation. SILVER.-At Aston Villa, Scalloway, on the 10th inst., the wife of John Silver, of a son. SILVER.-At 45 Summerfield Terrace, Aberdeen, on the 2nd inst., John D.Silver, seaman, aged 74 years - deeply regretted. SILVER.-Killed in action, on the 30th October, 137 Private John Silver 2nd Gordon Highlanders, aged 22 years, beloved grandson of Mrs G.Henderson, 87 Summer Street, Aberdeen. Deeply regretted. GRAY.-At 342 Great Northern Road, Woodside, on the 27th inst., Helen Silver, widow of Robert Gray, dairyman, Woodside. Funeral on Friday, 30th inst., at 2.30p.m., to Nellfield Cemetery. Friends please accept this (the only) intimation and invitation. SILVER.-At 23 Spa Street, Aberdeen, on the 2nd inst., Elizabeth Craighead, widow of William Silver, late of Damhead, Fiddie, Skene, aged 88 years. Funeral on Saturday, at 2 p.m., to Banchory-Devenick Churchyard. SILVER.-At 6 Hunter Place, Aberdeen, on the 28th inst., Margaret Murray, beloved wife of James Silver, baker, aged 47 years. Funeral on Friday, 31st., at 2.30pm, to Allenvale Cemetery. Friends please accept this (the only) intimation and invitation. SILVER.-At 568 Great Northern Road, Woodside, on the 5th inst., Mary Silver, aged 70 years. REID-SILVER.-At the Foresters' Hall, Bucksburn, on 22nd December, by the Rev. T.B.Robertson, William Thomson Reid, only son of Mr and Mrs George Reid, Albert House, Bucksburn, to Bella, only daughter of Mr and Mrs Robert Silver, 96 Auchmill Road, Bucksburn. SILVER.-At 29 Broad Street, Kirkwall, on the 21st inst., to Mr and Mrs John Silver, a daughter. 1967 SILVER, GEORGE (Statutory registers Deaths 275/ 6) Deaths registered in the district of Brechin and Stracathro in the county of Angus. District no 275, year 1967, entry no 6. George Silver, farmer (retired), born 4/10/1876, aged 90 years. Married 1 (unknown) Married 2 Ida Elizabeth Pullar or Low, 5 Jan 1967. Causes: Coronary thrombosis, cerebral arteriosclerosis. I have images from Scotland from various sources that connect to the Silvers of Kincardineshire. My line connects through Alexander Silver who married Isobel Falconer. See below for some comparisons between images with my narrative below. Isobel Falconer at left with her sister Helen next, are identified with some degree of certainty. The image of Helen comes from family group on the back of which is written Mr and Mrs Martin (Helen Falconer married William Martin; as well the Martin family is referred to in correspondence that I hold). The next image is also Isobel Falconer (a bit younger and possibly wearing the same headpiece) and comes from a larger group image with her children (see below). The woman at right could be another of the Falconer sisters (perhaps Mary Ann) and the image is taken from a larger group photo (see further down the page). Thanks to cousin Bob McD in Aberdeen who looked at this photo with a clear mind (as opposed to my fuzzy thinking) and proposed it was the Harvieston Silver family. Fairly obvious really given that the image came from a collection that belonged to my g-grandfather James Silver. I have added known images of the five Silver siblings and their mother Isobel Falconer who is seated in the front. So the brothers from left are John, James and Alex with Hellen (left) and Isobel either side of their mother. And it also seems obvious that this would most likely have been taken about 1890 just before James headed off to Australia. I think you'll agree that the mother's 'hooded' eyes (is that an adequate description?) are obvious in some of her children. Identified on the back as Mr and Mrs Martin, which confirms this to be Helen Falconer (seated right) with her husband William Martin (left). Presumably the others are family members. Helen had five daughters and one son, so this doesn't help identify who the likely family members are. Note that Helen has similar 'hooded' eyes to her sister Isobel in the image of the Harvieston Silvers. Compare the image of John Bisset that Ann Mackay provided (left) and the one found in the large group picture (see below). As well, compare the image of Barbara Simpson (left) with an image (right) from the same large group picture (see below). Family group image that potentially includes John Bisset (standing far left) and his wife Barbara Simpson (kneeling third from left). As well the short woman at the back could be one of the Falconer sisters, and there is a strong case that it could be Isobel who married Alexander Silver because his sister Jane was married to David Bisset, and was the mother of above-mentioned John. If so, that then suggests the bearded fellow could be Isobel's husband, Alexander Silver. However, because Alexander Silver died in 1882, that requires this image to be before then. Comparing known images of Alex and Isobel's children, a case could be made for those standing to the right of Isobel as son Alexander (who married Ellen Watt in 1894), daughter Hellen (who married Alexander Duncan in 1882; note he is not in this image), son John (who did not marry) and daughter Isobel (who married John Duncan in 1905). That leaves an unidentified man at far right because it is not my great-grandfather James Silver. The picture was obviously taken on a family occasion and it could have been in 1876 when John Bisset and Barbara Simpson married which seems strange given they are not pictured together and Barbara's dress doesn't suggest a wedding gown. This image was provided by James Murray Silver of Palo Alto, California. There at two images at left of James Silver who was married to Mary Ann Falconer; the next image is of his son James Silver who married Anne Finlay and moved to America, followed by his grandson, James Silver, who married Hazel Conkin and his great-grandson James Silver who died unmarried in WW2.